What are the possible destinations? Not knowing where you are going until the last minute is what Mystery Flights are all about. Each destination offers its own attractions and activities. While we do provide some tourist information regarding your destination, travellers are under no obligation to do or visit anything particular. What you choose to do is entirely up to you. You could be staying within easy access to the CBD or in a fabulous beachside location. Whatever your destination, there will always be plenty to do within close proximity to your hotel, accessible either on foot or with public transport. **Above day trip destinations are not possible from all departure cities. Mystery Flights departing from Sydney do not go to Canberra or Newcastle. Mystery Flights departing from Brisbane do not go to Ballina/Byron Bay, Gold Coast or Sunshine Coast. * Cairns and Townsville are only possible day trip destinations for departures from Brisbane. City pairing is dependant of current flight schedules and length of time at destination. Don’t forget that you are able to nominate one destination you do not wish to be flown to, and for repeat travellers we make every effort not to send you to the same place twice. WHAT AIRPORTS DO MYSTERY FLIGHTS DEPART FROM? BRILLIANT! 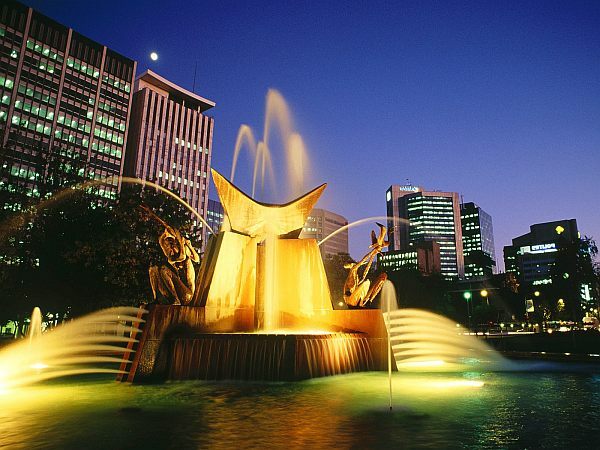 Is how the South Australian Visitor & Travel centre like to describe Adelaide and here at Mystery Flights we agree. With wide elegant boulevards lined with cafes, galleries, museums, markets and top notch restaurants it is easy to see why it has become a favourite with Mystery Flight travellers. But there is more to Adelaide than you think. Surrounded by parklands, to the west, clean safe beaches, and twenty minutes east the Adelaide Hills where you will find 95 cellar doors, 135 places to dine and 37 towns. Did you know? You can catch a tram from the Adelaide CBD and in 25 minutes you could be swimming with the dolphins? Surrounded by 32kms of white sandy beaches and crystal clear waterways Ballina Coast and Hinterland is truly a natural wonder. Ballina is absolutely brimming with things to do… historic museums, antiques and curios, markets, arts and crafts and funky boutiques. 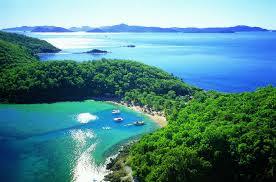 And not to mention the adventure playground for beach lovers, anglers, bushwalkers and eco adventurers. Think about what makes a perfect day and you will be sure to find it in Ballina. Did you know? Ballina grows its own coffee. Make sure you try Ballina’s brand of Arabica called “Coffee Nirvana”. People in Brisbane say you will leave there a shade of green – green with envy that is. Brisbane is fast becoming one of Mystery Flights most talked about destinations. It is a city pulsing with eclectic communities, mind blowing performing and visual arts displays, award winning restaurants and fantastic experiences for families – all this right in the heart of the city. 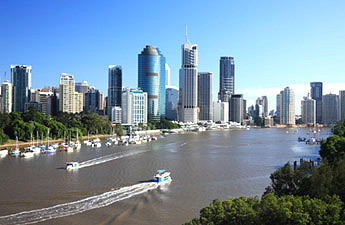 You may think that Brisbane is just another city or maybe even a sleepy little town – well it may be time to think again! Let us fill you in on a few secrets about Brisbane’s seaside escapes. Moreton Bay is just 35kms away – with snorkelling, scuba diving, sand tobogganing, quad biking and hand feeding bottlenose dolphins. Or if hanging around town is more your scene why not let loose with some retail therapy at the Queen Street Mall – with over 700 specialty stores you are sure to find something. Don’t forget to take some time out to experience Brisbane’s incredible restaurant/cafe scene. Brisbane is immensely proud of their fine dining reputation with a wide range of Australian and international cuisines available within a 10 min radius of the CBD. Did you know? You can abseil down million-year-old cliffs and overlook a river as old as the Nile – right in the heart of Brisbane? Visit www.riverlife.com.au for more details. Now, I know what you are thinking… “I hope I don’t go to Canberra”. Poor Canberra! Canberra is one of our most requested exclusions. The team at Mystery Flights is puzzled by this. 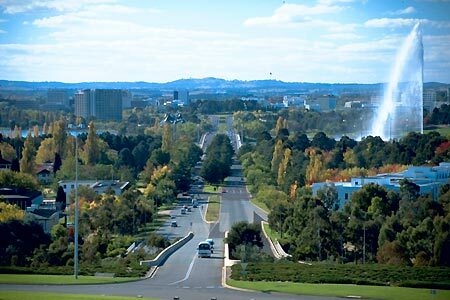 Rebecca from Mystery Flights reservations department thought she would take a break and visit Canberra and see for herself why it was the most requested exclusion. Here is what she had to say about it: “I bought a 962 page book at the airport on my way to Canberra in preparation for a dull weekend… the book remained in my bag all weekend!… I designed a flying car at the Museum of Australia, Experienced an Earthquake at Questacon, saw a streaker at a soccer match at Cockington Green, took on an elite athlete (and lost) at the Australian Institute of Sport and tip toed through the tulips at Floriade. The markets and art galleries in Canberra are AMAZING! The Old Bus Depot Markets are held every Sunday – I indulged in some top quality jewellery by up and coming designers and the Canberra Glassworks is a definite “must see”. And now the night life – afternoon refreshments at the award winning brewery Wig & Pen Tavern, pre dinner cocktails at Academy, dinner at one of Canberra’s fine restaurants that line West Row and finished the night off dancing to the Afro Caribbean beats at Club Mombasa. An action packed weekend and I didn’t even get to visit Parliament House… Oh well, next time!” Did you know? Canberra has over 135 wineries surrounding it, many of which make Award Winning drops. One of NSW’s best kept secrets! 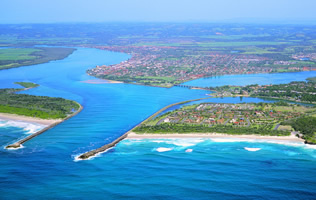 Coffs Harbour is a delightful city surrounded by some of Australia’s prettiest coastline, a World Heritage Rainforest and numerous National Parks. Just offshore you will discover the marine wonders of the Solitary Islands Marine Park or stroll to Muttonbird Island Nature Reserve – the main habitat for thousands of wedge- tailed shearwaters. Muttonbird Island’s sweeping views of the coastline also make it a great spot for whale watching (between June and October). Maybe you are feeling a little unloved? Steal a kiss from a seal and shake hands with a dolphin at the wonderful Pet Porpoise Pool, open 365 days. Or maybe white knuckle adventure is more your style – grab a paddle and hit the rapids of Nymboida River for some white water rafting. At Mystery Flights we recommend that you do not leave Coffs Harbour without a visit to the iconic Big Banana with its new interactive display. 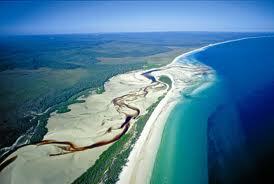 Welcome to the amazing Fraser Coast, home of world-famous Fraser Island and the Whale Watching Capital of Australia. The Fraser Coast region is a holiday playground blessed by nature, with long sandy swimming beaches, relaxing island retreats, abundant marine life and pristine national parks. There are a wealth of coastal paradises, recreational pursuits, adventure activities and historic explorations that will keep you busy for days, even weeks. Rich in diversity and natural beauty, the Fraser Coast region encompasses the areas of Fraser Island, Hervey Bay, Maryborough, Tiaro and the Great Sandy Strait. There is also extended touring to neighbouring regions including Cooloola, Childers and the Great Barrier Reef. 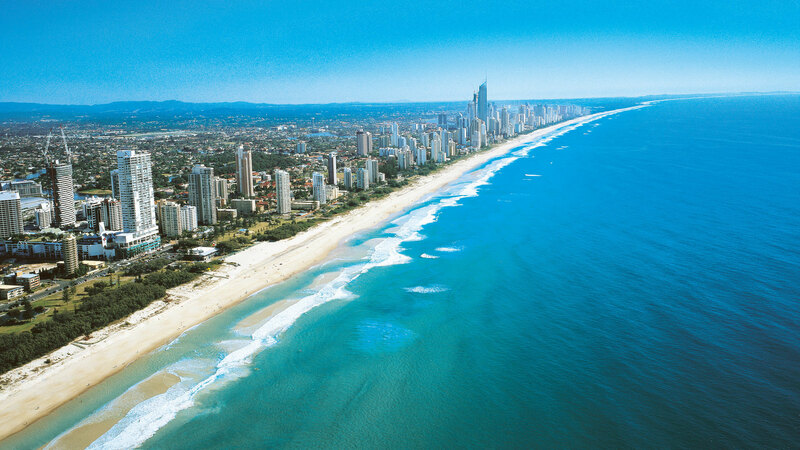 The Gold Coast or GC as it is affectionately known is guaranteed to leave you with great memories to take home. Whatever, you have in mind for your special time away GC is sure to have it on offer. GC has more attractions than anywhere else in the Southern Hemisphere. It is theme park capital but also naturally spectacular. Discover one of Australia’s largest glow worm colonies at Springbrook National Park or see the countryside and take a tour along the Gold Coast Food and Wine Trails . There is lots to see (and taste!) with a countless choice of settings from beachfront to rainforest. Perhaps a high tea on Versace china or for a real high enjoy a glass of Champagne at Q1 Observation Deck – 230m above the ground with 360 degree views of the Gold Coast – you can see from Byron Bay to Brisbane. Why not challenge your self to a round of golf at one of 40 championship courses and then when the sun goes down visit the Surfers Paradise beachfront night markets for quality local arts and crafts. Or, if it is relaxation you are after, the GC can indulge all your senses – there are enough stress free experiences to calm you for a life time. Hot Stone therapy, Kahuna Style Lomi Lomi massage and salt scrubs are just a few pampering options. Did you know? The Gold Coast houses the World’s Tallest Residential Tower and you can ride 77 floors in less than 43 seconds – exhilarating! The team at Mystery Flights love Hobart! The Mystery Flights team take a Mystery Flight each year as a Christmas Party event. Our 2014 team discovered they were off to Hobart – and WOW, what an amazing place to spend a couple of days. You can smell the fresh air as soon as you embark from the aircraft. Arriving on a Saturday was great – we headed straight to the famous Salamanca Markets. On every Saturday, rain, hail or shine – framed by the Salamanca flame trees on one side and beautiful sandstone buildings on the other – the setting alone is enough, but you also have fabulous arts, crafts and food at the markets. Don’t fret if you are arriving on a weekday as you can be treated to a tour of the Cadbury factory, Only open Mon – Fri but it should definitely be on your “to do” list and yes you do get to taste test! Compliment the chocolates with a tour to the working Cascade Brewery and see one of Australia’s oldest and finest beers in production. Make sure you visit the Cat and Fiddle Arcade in Hobart’s city centre and on the hour every hour view the Cat and Fiddle Clock do its “cow jumped over the moon, dog ran away with the spoon” act – very cute. Seafood is Hobart’s specialty with great restaurants lining Constitution Dock, or for something a little more “Hobart”, dine at one of the restaurants in the sandstone warehouses lining Salamanca Place. Step a little further afield and take a cruise on the Derwent with Navigators sightseeing cruises – you can even cruise to Port Arthur for a full day tour. Or hire a car and visit the historic town of Richmond – just 20 minutes north. 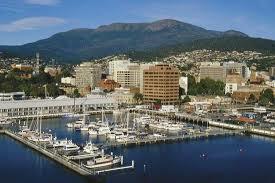 There is so much to do in Hobart. Did you know? The cute little Tasmanian Devil is under threat and could be going along the same lines as the Tasmanian Tiger – extinct! So visit the Tasmanian Devil Conservation Park on the Port Arthur Highway and support the Tassie Devil. “Lonnie” (as the locals like to call it) is a surprising destination. At first glance it may seem just a little quiet but what we at Mystery Flights have discovered on our trips to Launceston is quite the opposite. There really is something for everyone – even the most astute traveller. The best way to discover what Launceston has to offer is by walking – it is compact and easy to get around. Self guided walking maps are available from the downtown Travel and Information centre (approx $2). You will discover that Launceston is home to the largest number of 19th Century buildings in Australia and be amazed at the quirky little shops and the beautiful tree lined streets. Launceston and the Tamar Valley is definitely a food and wine lover’s paradise – with the farming culture valuing clean, green and genetically unmodified produce it is no wonder some of Australia’s finest wines and food produce is from the Tamar Valley. For the beer lovers you can’t go past James Boag’s Brewery. One of Australia’s finest brewers – tours depart daily (weekdays only). 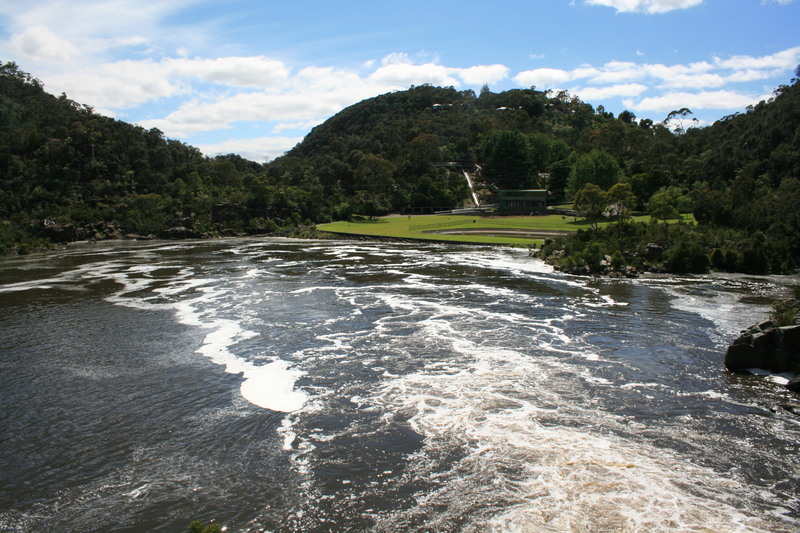 Cataract Gorge is a magnificent piece of wilderness just minutes from the city centre – you will find walking tracks, wildlife (the peacocks put on award winning performances), gardens, a suspension bridge and a really unique chairlift. You could even sit back and relax on a cruise on the picturesque Tamar River. There truly is an abundance of activities, restaurants, wineries and sights to enjoy in Lonnie. Did you know? Launceston has the longest park bench in the world (True – it is in City Park). But on a more serious note – The Tamar River is Australia’s longest navigable tidal estuary. Situated on some of Queensland’s most scenic coastline, the Mackay region boasts a mighty 31 beaches and several tropical islands within the Great Barrier Reef Marine Park. The region’s coastline is dotted with dozens of sun drenched beaches for you to enjoy — sunset walks, sunbathing, swimming, beach fishing and sand castle building are all on offer. PopularHarbour Beachis patrolled year round. 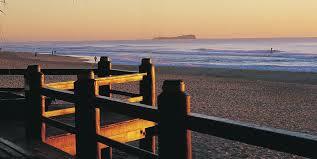 Other favourites include,Far BeachandIllawong Beach. Mackay also has a livelycity centre. Dine alfresco, shop the boutique stores or for the night owls, mingle with the locals at the busy bars and nightclubs. Take the self guidedHeritage Walkpast 20 lovingly restored heritage listed buildings, and admire Queensland’s best collection of art deco architecture. The impressiveMackay Marina Villageis a favourite with locals and tourists alike. If you are lucky to be in Mackay on a Sunday morning themarketsin the city centre are popular. Did you know? Mackay Region produces one third of Australia’s sugar exports — with lush sugar cane fields still surrounding many areas. Whether you’re looking for great food and wine, a little bit of retail therapy, or interested in entertainment and culture, Melbourne has something for everyone. You never know what you will stumble across in Melbourne. Whatever you are looking for you will probably find it – it could be down an alley or on a rooftop but it will be sure to be there. 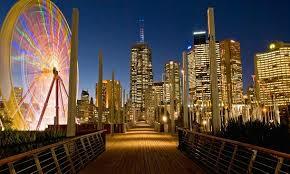 To make the most of your stay in Melbourne make your first stop the Melbourne Visitors Centre at Federation Square. Whilst you are there grab an all day Tram Pass – you can literally go anywhere with one of these. The tram is an ideal way to explore Melbourne – there is even a free City Loop tram with commentary – a great way to get your bearings. Melbourne is a city of precincts’. Some are small with just a lane or two defining them while others are a long stretch of road each with their own story to tell. Spend the day shopping at the factory outlets on Bridge Road and Spencer Street or indulge at the prestigious stores on Collins Street while stopping for coffee at any one of the fabulous coffee spots in Melbourne. When you’ve had enough of the shops – jump on a tram and head to the seaside suburb of St Kilda or head to Skydeck 88 and experience The Edge – a glass box suspended from 88 Floors above ground level – Not for the faint hearted. Did you know? Melbourne’s tram network is the largest outside the European continent and the 4th largest in the world. Pristine coastline, lush hinterland and superb cuisine. The Sunshine Coast offers action and adventure or just the perfect piece of sand on which to sit and ponder? The Sunshine Coast is the perfect mix of coast and country and the ideal place to relax and unwind. 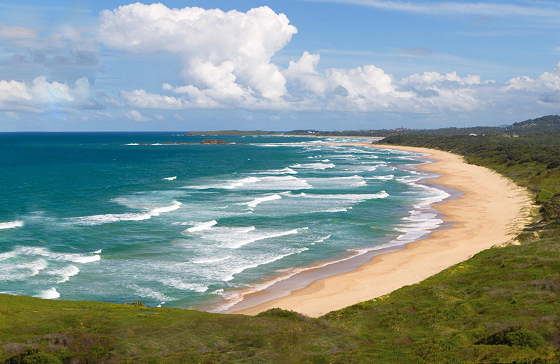 The Sunshine Coast’s sun-drenched beaches and sparkling water offer year-round swimming in temperate waters. Head up to Noosa and visit the secluded coves and bays fringed by Noosa National Park – one of the few absolute beachfront national parks in Australia. However don’t feel that you have to take it easy. You may choose to get your heart pounding diving with huge sharks and stingrays at UnderWater World Moloolaba or swim with the playful seals. Perhaps you’d like to tickle your tastebuds at Yandina’s Ginger Factory or gasp as the keepers feed the crocodiles at the internationally renowned Australia Zoo at Beerwah. The famous Eumundi Market is an iconic reflection of the Sunshine Coast’s special culture. The market motto, “Make it, bake it, grow it or sew it” is passionately observed by its dozens of farmers, producers, artisans and craftsmen who set up their stalls before first light under the shade of massive, ancient fig trees. The choice is yours! Whether you’re looking for outdoor adventure or cosmopolitan culture, Sydney’s got it. Climb to the top of the Harbour Bridge or take a skywalk on Sydney Tower for a 360-degree view of the city. Stroll through the Botanical Gardens or take a tour of the Opera House. Cuddle koalas in the Taronga Park Zoo or learn to surf at Bondi Beach. For quaint cafes and shopping, visit The Rocks, Sydney’s historic district or for the latest in local and overseas fashion visit Oxford Street, Paddington. 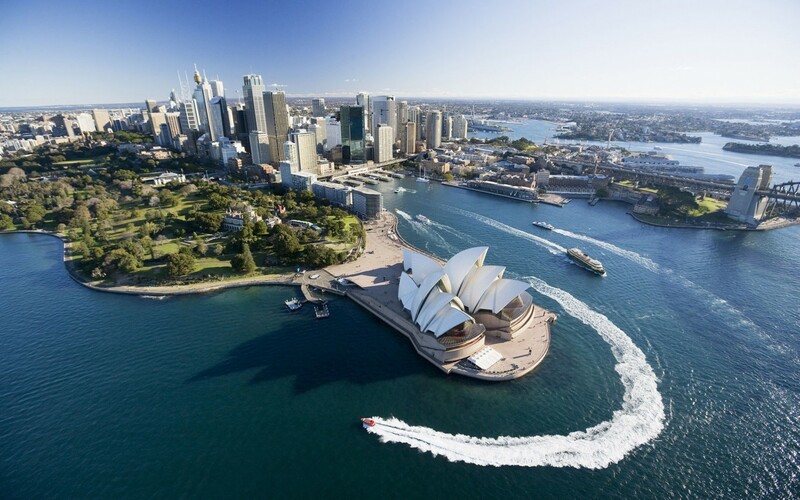 Sydney’s Harbour, arguably the most beautiful in the world, offers so much to do. Enjoy a ride on a Sydney Ferry from the Circular Quay in the city to the beachside suburb of Manly. Here you could enjoy fish and chips on the beach or hang out with Sydney’s hottest crowd at The Wharf Bar in Manly. Whale watching season in Sydney is truly memorable. Enjoy a Whale Watching cruise with True Blue Cruises from 1 Jun – 1 August and you are pretty much guaranteed to see whales. Take a step back in time and wander through Sydney’s Rocks area – the site of the first colonial settlement in Australia. A hot spot for shopping, dining and also has some of Sydney’s most popular bars and pubs. If you are lucky enough to be in Sydney on a Saturday or Sunday don’t miss the Rocks Market – an open-air bazaar featuring more than 150 stalls. 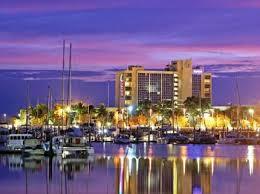 Townsville is Australia’s largest tropical city and the gateway to the Great Barrier Reef. For a taste of the Reef, visit Reef HQ. For the real thing you can book a cruise to the Outer Barrier Reef. 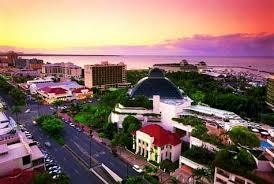 However, the big surprise for new visitors to Townsville is the amount of other things to do apart from the Reef. The Strand is a must for any visitor to Townsville. It is a world class development on the esplanade where you can swim in the resort style rock pool, grab a bite to eat, watch the kids splish and splash in the fantastic (and free) water park, or simply soak up the sun and enjoy the magnificent view. Castle Hill lookout offers a spectacular 360* panoramic view of the city. There is also lots to offer the history buff in and around Townsville. The Museum of Tropical Queensland is well worth a visit and bird watchers simply need to head to the Town Common. There are plenty of dining options on Palmer and Gregory Streets as well as in the city centre. Beer lovers should visit The Brewery on Flinders Street Mall where they brew there own beer. Shoppers will love the Cotter’s market which is held each Sunday morning in Flinders Mall and for those staying at the Holiday Inn in Townsville you won’t have to go far as it is literally right on your doorstep! Did you know? Herveys Range Heritage Tea Rooms (a 25 min drive out of Townsville) sells Australia’s most rare and expensive coffee. Each cup of Kopi Luwak costs $50 and you’ll be amazed to discover what makes it so rare! Bordered by the Great Barrier Reef and cradled by the calm waters of the Coral Sea, the Whitsundays lies midway along Australia’s Queensland coast. The region spans from the beautiful beaches of Bowen in the north to the cane fields and sugar mills of inland Proserpine to the gorgeous golf greens of Laguna Whitsundays in the south. Its 74 islands – only eight of which are inhabited – are surrounded by one of the world’s seven natural wonders, the Great Barrier Reef. Whether you choose to bush walk, scuba dive or sail, there are a myriad of ways to experience the Whitsundays. Island and coastal accommodation options range from camp sites in National Parks to luxury resorts and cater to families after fun and honeymooners in search of seclusion and romance. Discover the wonder that is Heart Reef. Sink your feet into the white, silica sands of world-famous Whitehaven Beach. Or simply sail at sunset across our crystal-clear waters. These are the colours and images of the Whitsundays – each a postcard of a perfect holiday.